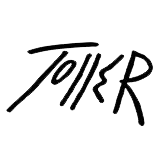 tc_admin - Toller-Cranston - Official Website for the Skater and Artist. Meanwhile lets just say that we are proud tc_admin contributed a whooping 10 entries. The Cranston Family has announced plans for a public memorial to celebrate the life of Toller Cranston to be held April 20th, Toller’s birthday, in San Miguel de Allende, Mexico. Please join us at Hecho en Mexico restaurant from 11am – 1pm.